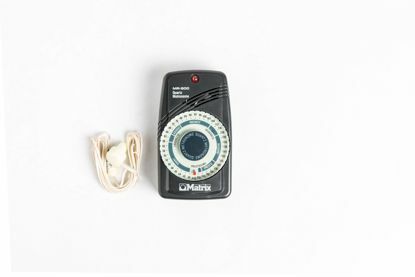 Matrix MR-500 quartz metronome uses a 9V battery. Range is from 40 - 208 beats per minute. LED light/sound or light only. Gives A-440 tuning pitch and has earphones. 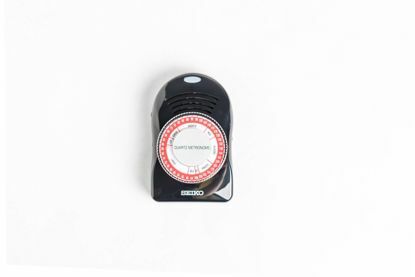 Qwik Time QT-7 quartz metronome uses 9V battery. Range is from 40 - 250 beats per minute, and can accent down beat. LED light/sound or light only. Gives A-440 tuning pitch and has an earphone jack. 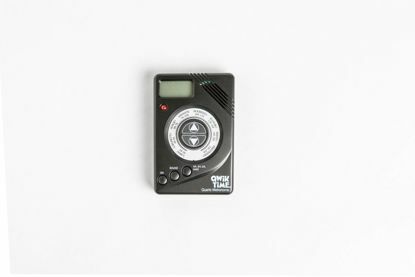 Seiko SQ-50 quartz metronome uses 9-V battery. Dial tempo from 40 - 208 beats per minute. LED light/sound or light only. Has two different tones. Gives A-440 tuning pitch.